on first glance, this was my least favourite of the bunch, mainly because, flipping through, it's not quite as contemporary as i would like it to be - out of the 20 quilt patterns shown, there are only 6 that i would probably make. 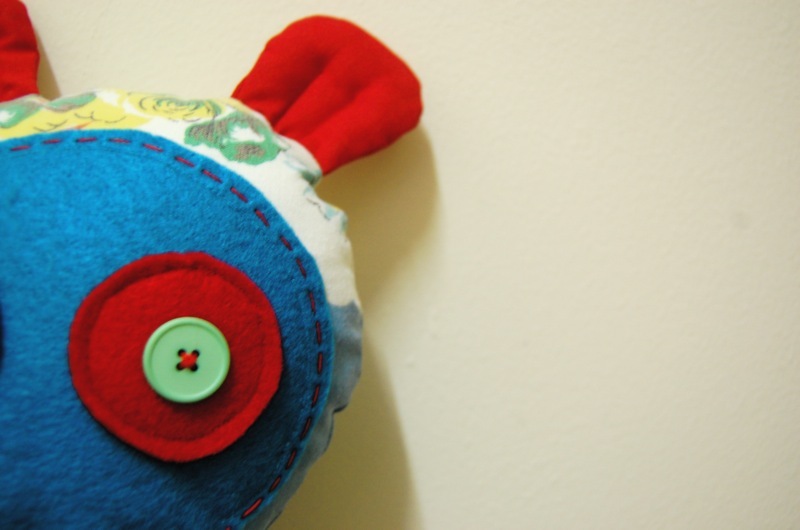 HOWEVER, that's just me and i do acknowledge that there are some pretty cool techniques used in many of the patterns - interesting folds, giant french knots and some cool applique suggestions - which are good food for thought for other projects. and a little less than half the book is dedicated to the basics (and not so basics) of quilting, which is what i really bought it for in the first place. i'm just going to reiterate what everyone else has already said about this book - great photography, cute and easy patterns, lots of great tips on technique throughout and all in a very lovely and relaxed writing style. it's just a good book. and i would highly recommend it to anyone who is just starting out with sewing or wants to give it a go - i could have saved myself a lot of swearing if i'd had this book a few years ago. a beautiful, beautiful book about which i could probably say much of the same as above. i bought it for the lotta aesthetic and mainly for the damn cute sun hat i kept seeing all over blogland and it certainly doesn't disappoint in any aesthetic way. the patterns are pretty basic, but handy with a few tote designs and lots of around-the-house projects making it good for the beginning sewer. ummmm, pretty much ditto everything i said about the lotta jansdotter book. there are a good range of projects from quite basic to pretty advanced. i'm glad i got both quilting books as this one doesn't have the detailed technique info that the contemporary quilts book does - i wouldn't recommend this as a stand alone "learn-to-quilt" book but it does have some lovely quilt patterns. and, yes, i bought them from amazon.com. i didn't find the shipping prices unreasonable, especially when the books themselves are so much cheaper than i could ever dream of finding them in australia. for one or two books, the shipping probably isn't worth it, which is why i waited until there was a good stack of things i wanted - all 5 books and shipping came to just over $100 US which i thought was pretty good value. Thanks so much for the link love too! Thanks for the reviews! I've got Sew U too, and second everything you said... can't wait to make some things once I get my waist back. I've been eyeing off the Amy, Lotta and Denyse books, they will have to be added to my wishlist! I so agree with the pricey tags they put on the books here in Australia. I've been getting my craft books from Amazon, too. I've found that I'm still ahead even with three books (incl shipping), since they're at least AU$40 each in the shops here. And you're very spot on with your reviews! Thank you for the reviews! I am just a beginning - well haven't even started the sewing yet but have ordered some fabric for totes! Perhaps I should buy one of the simple books!! hmm.. i think i may have a look at the Wendy one. 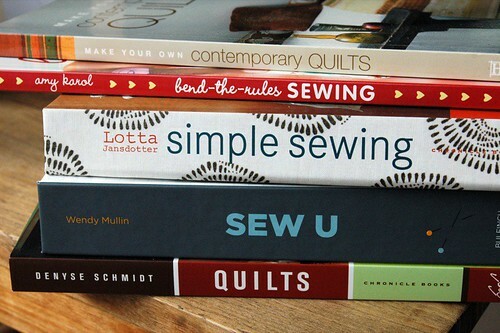 oh my gosh, i have all these except the "sew you" which is on my wish list. crazy!